My editor called me. "How about taking an overseas trip for a total of four and a half days?" he asked. "You know me, I'll take it," I responded. "Where do I have to go?" "It's going to Israel and Switzerland and the flight time on Swiss International Air Lines with connections in Zurich will be included in the four and a half days…and, by the way, it falls on the occasion of the forty fourth Annual Jerusalem Liberation Day celebrations." I couldn't believe that 44 years have already past since the Six Day War in June of 1967. Memories from my army service in that war began to engulf my thoughts, reminding me of some close friends whom I've lost back then. All of a sudden it seemed to me as if that happened just yesterday. Now I had to get ready mentally in order to reencounter once again the Old City of Jerusalem's walls and narrow alleys, but under Israel's authority and without the blood and the terrifying sounds of war. The check-in for the flight to Zurich at JFK airport's terminal four was smooth and quiet, though the flight was fully booked. I had the privilege of enjoying some time at the Swiss business lounge then went through the busy boarding security area and boarded the Airbus 330. Upon entering the aircraft I noticed a new design of the seats turning into horizontal beds in the business class. It didn't make any difference to me, a veteran flyer with over 200 transatlantic flights who's unable to sleep on flights at all, but it sure makes a great deal of difference to many others. Swiss International Air Lines' website is: www.swiss.com. The take-off was quick and soon we were cruising at an altitude of 38,000 ft. Fortunately, that flight hadn't experienced any turbulences and I could enjoy the Kosher meals I've ordered in advance, which included low sodium and low cholesterol as well as lactose free ingredients and were served by the caring and smiling Swiss air crew members. During the nearly eight hour flight I managed to watch four movies and also do some work due to the relative silence around. Following the perfect landing at Zurich airport under a full, bright sun and a blue sky, I made my way to the lounge in another terminal using the underground self-operated train, in order to get ready for the connection to Tel Aviv. The Swiss lounge at Zurich airport was very comfortable and accommodating. It included a couple of large rest and food areas. The following four hour flight to Tel Aviv was smooth as well, passing over the Swiss Alps with their white tops, then over Italy, Greece and the beautiful blue Mediterranean. The aircraft landed at Tel Aviv's impressive Ben Gurion airport. Passport control and baggage claim did not take long and soon I was traveling in a mini-bus from the airport to my first destination - Jerusalem. The day was bright and the road ran through a large valley, known by the name Latroun, where bitter battles took place in 1948 between the newly Israeli formed army and the Jordanian Legion. The purpose of those battles was to secure the only main road from the sea shores to Jerusalem, which was then under siege and heavy shelling. At the end of the valley, the road reached the elevating Judea hills. It passed through the landmark point of The Valley Gate and began its climb toward the holy Capital of the State of Israel. The road ran between close high hillsides covered with dense woods. While climbing the hills, I noticed many burned out armored vehicles in which Israeli troops tried to deliver supplies to Jerusalem the time of Israel's Independence War in 1948-49. Many Israeli soldiers died in those vehicles which were ambushed and attacked by Arabs who hid on the hills above the climbing road. Those vehicles were left at the sides of the road and became historic monuments for generations to come, in order for all passers by to get acquainted with and remember the battle for freeing the road to Jerusalem. In the afternoon, at the end of the climb within and around a series of hills, we entered Jerusalem. A short ride around the center of the city on a road named after the late Israeli Prime Minister, Levy Eshkol who governed the time of the Six Day War of June 1967, facing Ramot, a huge neighborhood built on the city's northwestern outskirts' hills, the mini-bus stopped at the hillside Dan Jerusalem Hotel. The hotel, previously a Hyatt Regency Hotel, is located on the slopes of Mount Scopus next to the French Hill neighborhood, facing Ammunition Hill, a landmark battle ground from the Six Day War and facing the starting point of the northern station of Jerusalem's recently activated light train. The Dan Hotels of Israel are the country's longest-established deluxe and first-class hotel chain. Its beginnings date back to June 1947, when two brothers Yekutiel and Shmuel Federmann, purchased the "Kaete Dan" a 21-room guest house on the Hayarkon Street facing the Tel Aviv sea shore, with the vision that Israel would one day become a tourist destination. Today, the chain includes 14 deluxe hotels in prime locations around the country, an international convention center, a hotel training school and the Dan Lounges at Ben Gurion airport. The flagship hotel, the King David Jerusalem, regularly hosts visiting dignitaries and is a member of the Leading Hotels of the World. The chain has been under the continued management of members of the Federmann family, who ensure that the name Dan remains synonymous with excellence in the field of hospitality. Several awards have been awarded over the years, reflecting the effort, thought and attention to detail that is encouraged in all staff members who are trained to give Dan guests "an experience beyond their expectation." The Dan Jerusalem Hotel offers a premium hospitality experience that combines an idyllic environment with breath-taking vistas. Superbly designed around a series of beautiful patios, the Dan Jerusalem Hotel sits on the historic slopes of Mount Scopus, overlooking the romantic skyline of Jerusalem and surrounded by the rolling hills of Judea. Located in a tranquil setting away from the city's bustle, the Dan Jerusalem Hotel offers easy access to the Hebrew University's Mount Scopus campus and the world-famous Hadassah Medical Center. The Dan Jerusalem Hotel is also a perfect take-off point for a fascinating drive down to the desert, to the Qumran Caves, the Dead Sea and Masada. The complimentary shuttle service offered by the Dan Jerusalem Hotel makes it easy for guests to get to all of Jerusalem's prime attractions. 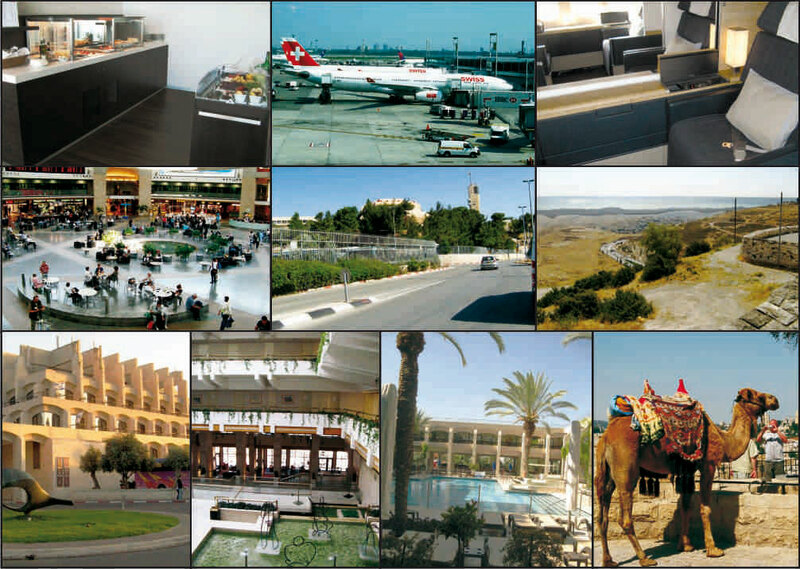 The hotel’s website is at: http://www.danhotels.com/JerusalemHotels/DanJerusalemHotel/. Toward dusk I took the shuttle to the center of the city, where I met with a couple of old friends at the Ben Yehuda Street Promenade. As Jerusalem is known to be way cooler and dryer then Israel's sea level, we enjoyed a cool breeze. At this time of the day in Jerusalem, one may need a jacket or a sweater. The promenade was very busy. It felt like being at Miami Beach's South Street, except for the fact that vehicles are never allowed on this promenade. Hundreds of people of all kinds and ages, including large groups of youths and students, many of them tourists from overseas, who came to Jerusalem to celebrate its day of unification back during the Six Day War, filled the street's cafes and restaurants and were strolling up and down the street holding large Israeli flags. Israeli music and singing were heard from all over. My friends drove me back to the hotel where I fell asleep immediately for a well deserved peaceful slumber. The next morning began with a one-of-a-kind experience with my friends who joined me for breakfast and we were due to tour the city for the entire day. In the past, I have stayed in many hotels around the globe, but the breakfast at the Dan Jerusalem Hotel was second to none. The large, nicely decorated dining room facing the beautiful outdoors pool inspired a peaceful atmosphere, even though the place was filled with guests. The self service breakfast consisted of an extremely rich buffet which took a much larger space than the dining area, offering whatever one could even think of - you name it. So, here is a short example of the available foods: From assorted breads and huge varieties of cheeses to fresh vegetables and tossed salads, fresh fruits, cereals, ice cream and yogurts, assorted lox and herring, to made-to-order omelets with multiple ingredients and, finally, beverages, all in generous, unlimited portions and quantities and excellent styles. One must try it all in order to enjoy this phenomenal kitchen and have an idea of what it really is. We left the hotel and headed toward the original Hadassah Hospital and the Hebrew University, which were established on Mt. Scopus in the 1930's. Since I was a kid, we used to sing in school the famous song by the late Israeli admired poet, Avigdor Hameiri, who happened to live on my street in Ramat Gan (east of Tel Aviv). Now, in the car, the song was ringing in my head: "From the peak of Mount Scopus I shall bow to the ground in front of you; From the peak of Mount Scopus I greet you, Oh, Jerusalem; One hundred of generations were dreaming of you, hoping to see your light; Oh Jerusalem, welcome your children; Oh, Jerusalem, we shall restore you from your ruins." In 1948, during Israel's Independence War, the Jordanian army tried to conquer the mountain, but Israel's forces managed to hold on until the truce which established the cease fire line - known more as the Green Line - between Israel and the Arabs. One horrible incident in 1948 became known world wide, when an Arab mob attacked an Israeli convoy which carried replacement doctors and nurses to the hospital. Tens of Jewish doctors and nurses were slaughtered in the bloody attack, which occurred in the vicinity of today's Dan Jerusalem Hotel. On July 21, 1948 Israeli Commander, David Shaltiel and Jordanian Commander, Abdullah el Tell signed a formal cease-fire based on the existing positions of their forces. Mt. Scopus became a Jewish-Israeli controlled enclave within a populated Arab area and was reunited with Jerusalem during the Six Day War in 1967. From there, we had a view toward the east, where we spotted the Judea Desert and the Dead Sea area, then a view toward the west, where we could see very clearly the Ancient Jewish cemetery of Mt. Olives, which was destroyed by the Jordanians between 1948-1967. They used the Jewish tomb stones in order to build roads on the graves. Only after 1967 could Israel restore the holy cemetery. Beyond Mt. Olive was quite visible the Old City of Jerusalem, with today's developed Jewish Quarter facing the Temple Mount with its Muslim shrines - the Dome of the Rock and Al Aqsa. Beyond the old city we could see the new modern Jerusalem with its splendor and an impressive skyline. On the way down west from Mt. Scopus we stopped for a while to see the ancient, biblical and historical Garden of Gethsemane, with its extremely old olive trees, with some trunks up to seven feet of thickness. Soon, we hit the Jericho Road on our way to the Old City of Jerusalem. After a ride uphill, we parked the car across from the Jaffa Gate of the Old City, the gate facing the main streets of the new city. 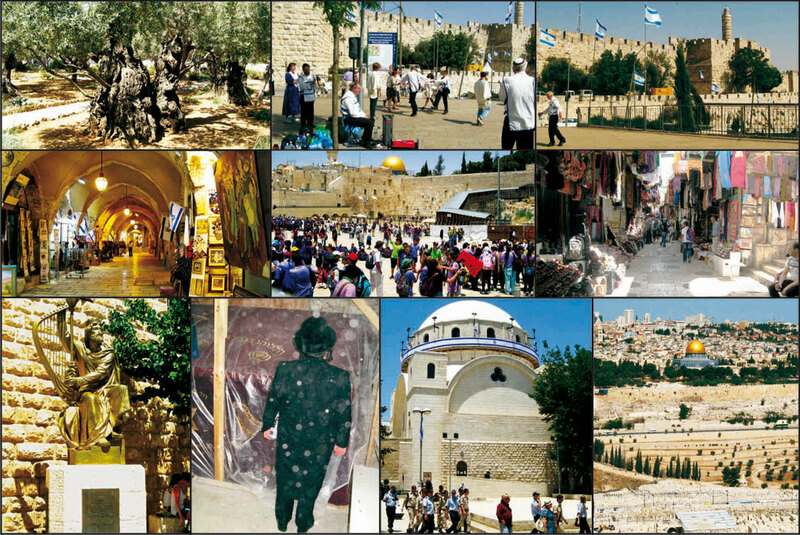 The area was very busy, as Jerusalem Day's celebrations, which was due to take place the next day, brought to the capital tens of thousands of celebrating Israelis and tourists. We entered the Old City and headed to the Jewish Quarter. In May of 1948 the Jordanian Legion began a siege on the Jewish Quarter, encountering a heroic defense by a small Jewish force. A few counterattacks by Israeli troops in July of 1948, headed by a top commander, David Shaltiel, failed and the Jewish Quarter fell into the Jordanians' hands. Jewish inhabitants were expelled while fighters were taken as prisoners of war and removed to a prisoner camp in Jordan. The Jordanians had no mercy on Jewish holy landmarks and nearly all Jewish synagogues in the Old City were demolished or severely damaged. Now, sixty something years after, here we are walking the busy alleys and narrow streets of the vivid, restored Jewish Quarter, inhabited by thousands of devoted Israeli Jews, plus thousands of visitors. We walked down the hill slope, visiting destroyed synagogues, Jewish restaurants and shops, and a unique underground Mall in an ancient Roman style - The Cardo. After refreshing ourselves with fresh cold fruit milkshakes, we arrived at the Wailing Wall plaza. Facing the ancient wall and its huge blocks of stone, one cannot but feel the holiness in the air - from the colossal western wall of the Temple, the Wailing Wall to the fact that each and every male visitor who attempts to approach the wall for minutes of concentration and prayer, wear yarmulkes and the ladies wear headcoverings. We took our time at the wall, asking for health, prosperity and peace for us, for our families, for our countries, and for all the people in the world who want to live in peace. It was a sacred moment of uniting with the Almighty. I visited the Wailing Wall as a kid in 1946 and many times after 1967, but this time it felt different - due to the celebration and vibrations around us. I looked up at the two Muslim shrines, built on our Temple Mount by the Arab invaders and felt that history cannot be altered nor falsified. After the moments at the Wall, we began to make our way back up the hill, this time through the Arab and Christian Quarters, along the historic Via Dolorosa. Every little street and alley was busy with visitors buying holy symbols, souvenirs and cold drinks, while the Arab merchants yell out the qualities their merchandise and special items. The character and nature of this area is extremely unique. One could have the feeling that every wall, every hand carved stone and stair could be part of the Holy City's history telling. Add to that the colorful Arab clothing hanging above the stores and covering the space above your head, plus the traditional Arab music from radios here and there, the little barefooted children running back and forth, the cold drinks with chunks of ice served from a canister, the antique doors, windows and furniture, the open drainage along the surface of the streets and the multiple street-stairs, and you had an amazing, unique Middle Eastern experience, especially designed by time and history for the Old City of Jerusalem. We continued by car and passed by the King David Hotel - the diamond in the crown of the Dan Hotel group, then we passed by the Knesset - Israel's parliament and symbol of democracy and the Israel Museum. Visiting those landmarks thoroughly needed another day or two, which we didn't have at this time. In the evening we prepared ourselves to go for a unique dining experience in Jerusalem, the Darna, "Our Home" in Moroccan, a glatt kosher Moroccan restaurant, located at #3, Horkenos Street, owned by Ilan Sibony. Darna, occupying a beautiful 200 years old building in the heart of Jerusalem, brings us the story of Moroccan hospitality as it was woven over thousands of years, from the endless spaces of the Sahara through Tichka and Tudra to the snow-capped peaks of the Atlas Mountains. A journey in space, in time and in taste, fingerprints of the people and tribes that conquered Morocco and were conquered by the magic of its delicacies. The rich menu served at Darna offers a wide variety of dishes accumulated over time, creating a unique culinary tapestry. 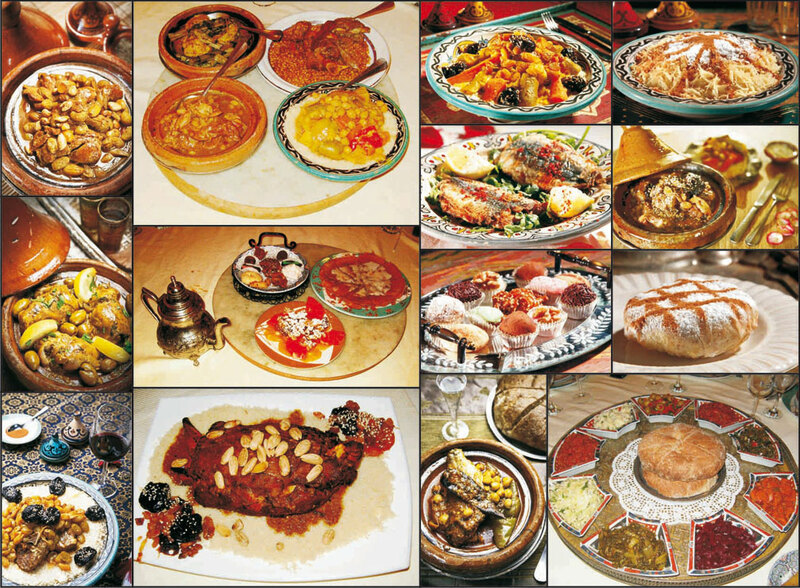 The dishes are witness to the influences of the local Berber tribes, wandering Arab tribes and the Spanish Moors. All left their mark on the Moroccan cuisine. Darna is hidden behind an old heavy door, a spectacular architectural jewel. The restaurant itself is a work of art, with an extraordinary collection of columns, stained glass windows, colorful tiles, capitals and arches, as well as silver vessels and big ceramic dishes. Even the costumes of the waiters were carefully selected and collected from the finest workshops in Morocco. During the summer evenings you can enjoy Darna's inner exquisite courtyard, an enchanted corner for an unforgettable night-out in Jerusalem. From its inception, Darna has done everything possible to fulfill its commitment to preserve the culture of Moroccan hospitality, from its culinary excellence to its warm welcome in the spirit of the Maghreb. Everyone who enters Darna will experience the essence of traditional Moroccan hospitality in all its glory, an essence that spreads its wings over the restaurant, and those who come under its roof derive pleasure from its beauty and its delicacies. Darna's rich menu includes culinary treasures, like Atlas Mountains Couscous, Chaaria Medfouna Tagine,Sardines Mjoujin, Merouzia, Selction of Fine Moroccan Salads, Moroccan Cookies and sweets, Pastilla Fassia, Fish Tagine, Couscous Royal, Cornish Ben M'charmel Tagine, Stuffed Artichoke Tagine, Glazed Cornish Ben Tagine are just a short list of the variety of Moroccan dishes one can enjoy (I mean - ENJOY) at this outstanding restaurant. I took most of the enclosed photos of dishes served at the restaurant while we were dining there, as they can speak for themselves more than a thousand words. Each and every dish is highly recommended. Darna also keeps another treasure: Its wine cellar. A long hallway tiled with Zellige mosaic leads you to one of the enchanting hidden corners of the restaurant. Imagine an old wooden door supported by a carved arch. Walk down 12 wooden steps to a heavy iron door and you suddenly find yourself standing before the opening of a wine cellar of such charm seen only in fairy tales. Inside are shelves laden with the finest boutique wines from the best kosher wineries in Israel. Near the exit to the cellar is a wine-tasting room, a magical arched hall inviting you to relax and enjoy the dishes of the house together with a glass of Israel's finest wine. Hours: Sunday-Thursday 12:00-15:00, 18:30-24:00 (Telephone Confirmation is given 3 working days in advance) Saturday from the end of Shabbat. Darna, 3 Horkenos St., Jerusalem, Israel 94235; Tel (from US): 011-972-2-624-5406; Fax (from US): 011-972-2-624-4745; Email: il@darna.co.il. The next morning, quite early, my friends and I enjoyed our second and last splendid breakfast at the Dan Jerusalem and left for Tel Aviv.